Tail : Red ibis or swan dyed red, duck. Body : Flat silver tinse..
Wing : Purple feather from outside mallard wing. 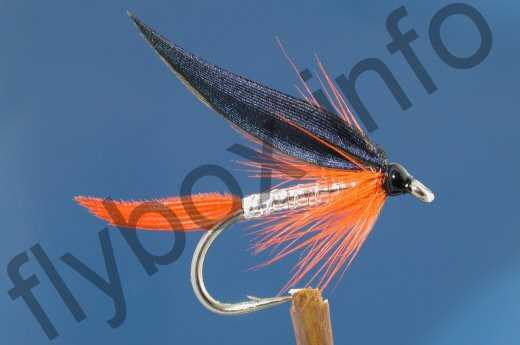 Currently there are no comments about the Orange Butcher fly pattern from other fly fishermen yet.